Stewards of Freedom exhibit. Large projection spanning two walls. 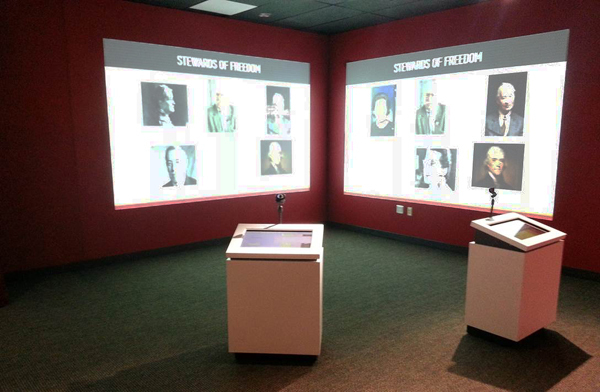 An interactive kiosk allows visitors to reflect on and express their connections to freedom by interactively changing the projected animation, including using webcam images of themselves.